I am big fan of Stephen Hawking, read most of his books starting with ‘The Brief History Of Time’, ‘The Theory Of Everything’ and ‘The Grand Design’. 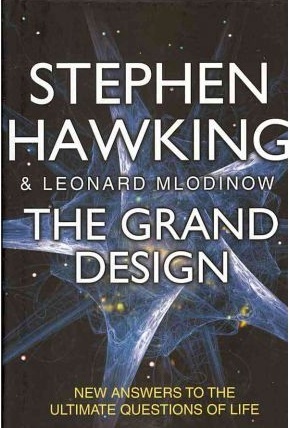 ‘The Grand Design’ is not fully authored by Stephen Hawkings as his previous books, this book is co-authored by Leonard Mlodinow. As per me, this is not Stephen Hawking’s best work, if you loved his ‘The Brief History Of Time’ then you will be really disappointed by this book. The book begins with Hawking saying that scientist should answer the most question about ‘Life, Universe and Everything’ because once upon a time it was a task of Philosopher’s but as per Hawking ‘ The Philosophy is dead’. What surprised me the most is, he himself gives a lengthy philosophical lecture about ‘Free Will’, ‘The existence Of God’ etc. The book is, in most of the parts is similar to ‘The Brief history Of Time’ and is theoretical at points and the conclusions drawn by both the authors are highly questionable. honestly speaking I expected something more from Hawking but the content in the book is similar to ‘The Brief history Of Time’ and his other books. In this book hawking conterversly asserted that the existance of God was unnecessary during the birth (big bang) of multiple universes (yes, you heard it right, Multiple Universes) according to his chosen M-Theory. He says that there are 10 the power of 500 universes created at the time of big bang but he fails to give the answer to the simplest question that ‘Why our Universe so fine tuned for Life?’. in order to explain the universe that we live in. He concluded, like Einstein, that science may soon arrive at the long sought after ‘Theory of Everything’. In this ground-breaking new work, Professor Hawking and renowned science writer Leonard Mlodinow have drawn on forty years of Hawking’s own research and a recent series of extraordinary astronomical observations and theoretical breakthroughs to reveal an original and controversial theory. Overall the none of the conclusion made in the book – The Philosophy is Dead, God is not necessary, Multiple Universes etc are based on Science. The book instead of answering the quesion ‘The Life, Universe and Everything’, gave rise to hell number of questions. Sayed Khadri on There is no spoon ! Tuesday Musing : Fel… on There is no spoon !